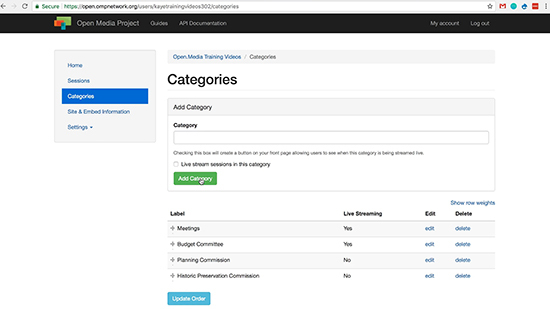 This is a quick-start guide for running a meeting using Open.Media. View the guide here. 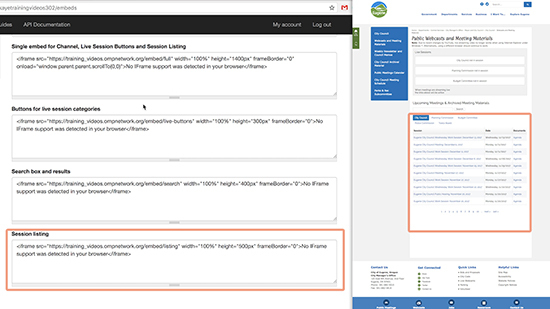 This guide covers the entire process of signing up for an account and configuring it for use with Open.Media. View the guide here. 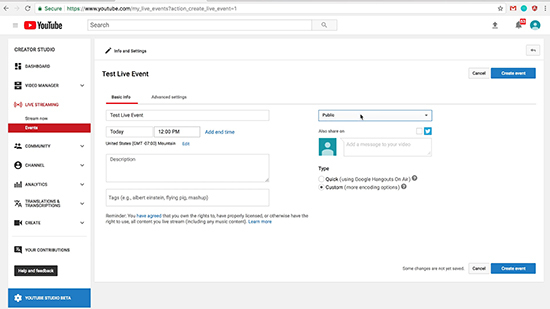 Learn how to set up your Open.Media account to automatically create YouTube Live Events when you create a Session. View the guide here. Learn to start a meeting, timestamp agenda items, and take minutes in the new Minutes interface. View the guide here. 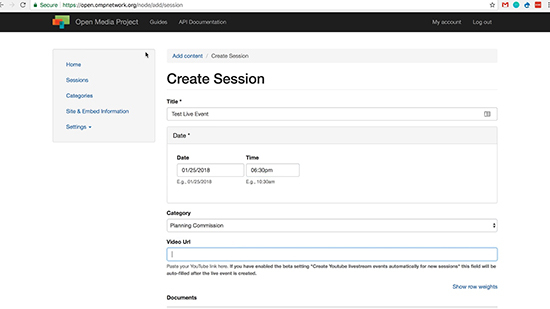 Configure your Open.Media account to automatically start and stop meetings. View the guide here. 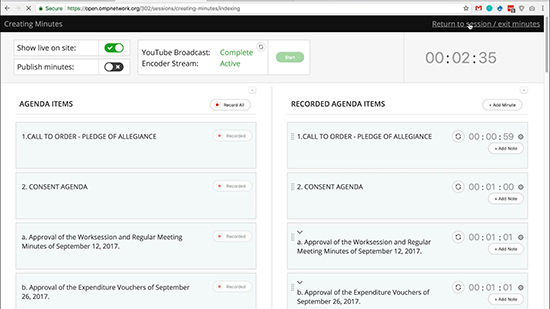 This guide covers the process of starting a live stream in YouTube, attaching agenda documents to a new session in Open.Media, and timestamping the agenda items during the meeting. View the guide here. 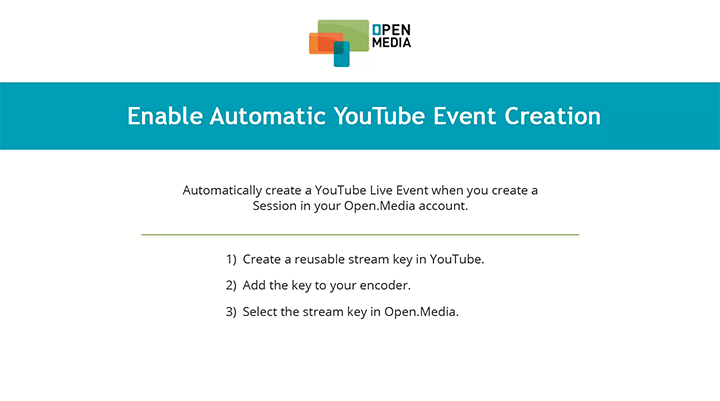 This guide provides some recommendations on hardware that can be used with YouTube and Open.Media. View the guide here. 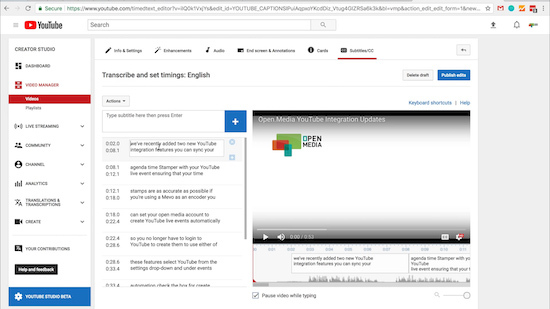 This guide contains dozens of questions that we have received in the past about both the Open.Media system and YouTube. View the guide here. Wirecast is one option for encoding and streaming content to YouTube from a computer that is receiving camera feeds. 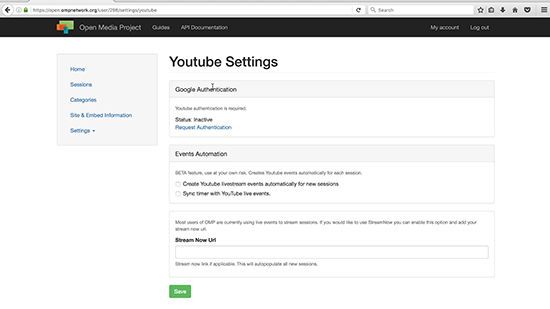 This guide covers the process of connecting/streaming Wirecast to a YouTube Live event. View the guide here. If there is a topic you would like to see covered or you have questions that are not covered in the guides, please email support@open.media.